There is more to a business trip than meetings, networking, deals, and handshakes. There’s all that goes with it: the important activities business people gravitate toward to relax, and to enjoy the city that they are visiting. These distractions can range from golf to the best restaurants, clubs, bars, and casinos. In Abuja, there is ample entertainment. The night clubs and casinos are a draw even for those who are merely staying over-night in Abuja. Whether you are on a short or extended business trip to Abuja, you certainly may wish to find the best casino in Abuja. But how about a night out before or after your evening of gambling in the best casino? The Maitama district of Abuja around Aso Rock, between the Aso Presidential Palace and Abuja’s central business district, is literally where it’s all at in Abuja. Entertainment in the Maitama is geared toward business people and high-fliers. There are several clubs and ‘lounges’ you can visit from the early evening, where you can enjoy a meal. These and other venues are perfect for a night out after a few hours in your hotel casino. With a little luck, you can happily spend your winnings! If, after a busy day of meetings, clubbing and bars aren’t to your liking, come back to the relaxation and comfort of one of Abuja’s top casino hotels, right here in Maitama. Top off your day with a game of poker, baccarat, American roulette or blackjack, and video slot machines at the Abuja Sheraton Hotel & Towers. If you are looking for accommodation for your next business trip in Abuja, Nigeria, you can’t go wrong with the luxurious Abuja Sheraton Hotel & Towers. 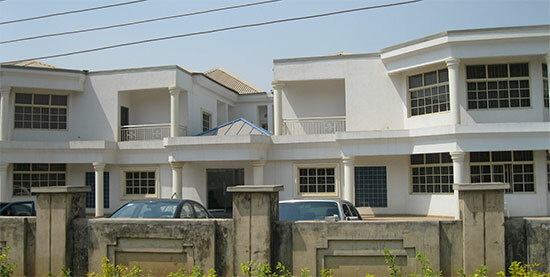 Book your stay at our top casino hotel in Ladi Kwali Way, Maitama, Abuja, Nigeria. Contact us today for more information.